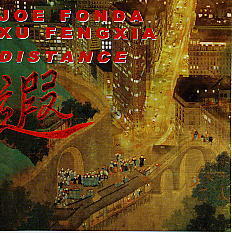 A veteran of the new music scene, member and leader of many groups, Joe Fonda is attempting to tame the new and exciting talent of Xu Fengxia. The sub-title of this CD could have been Shanghai Meets New York in Bielefeld. Recorded live in the Bielefeld club, Jazz Bunker, the music is a totally original blend of bass and guzheng with overtone singing. This CD illustrates the joy and wisdom of improvised music which knows no borders.